2014 has proven itself to be a great year for fans of R.L. Stine, who introduced many of us to the horror genre at a young age. Not only is his pre-Goosebumps series Fear Street making a return, but Goosebumps itself is at long last getting a feature film adaptation, which recently entered production, after a series of false starts throughout the years. As if that wasn’t enough excitement, MTV announced earlier this month that they’ve ordered a 10-episode run of a television series based on a 2004 Stine novel called Eye Candy, centering on an attractive New Yorker who finds herself terrorized by a man she met online. Not that we ever need any specific reason to talk Goosebumps, but with all the hoopla surrounding Stine in recent weeks, there’s perhaps never been a better time to do so. Today, we peel back the pages of Goosebumps Gold – a spin-off series of books that never ended up seeing the light of day. Though 62 books comprised the original Goosebumps series, there were various spin-off series’ released both during and after that 1992 through 1997 run, including Give Yourself Goosebumps and most recently, Goosebumps Most Wanted. 1998 saw the launch of Goosebumps 2000, which fittingly ended in the year 2000 and served as an umbrella for 25 brand new tales of terror. The planned 26th book in the Goosebumps 2000 series, titled The Incredible Shrinking Fifth Grader, was cancelled when Stine’s contract with longtime collaborator Scholastic expired, which spelled the end of the series. The expired contract also brought about the end of a planned follow-up series, titled Goosebumps Gold. Originally set for release in 2001, Goosebumps Gold was designed to tell sequel stories to fan-favorite Goosebumps tales from the original series, including The Haunted Mask and Welcome to Dead House – the latter of which was the first ever Goosebumps book published. Four books were planned for the Goosebumps Gold series, though according to Stine himself, none of them were ever actually written. That said, titles were released for each of the four books, and cover art was even whipped up for two of them, which was made available on artist Tim Jacobus’ website. 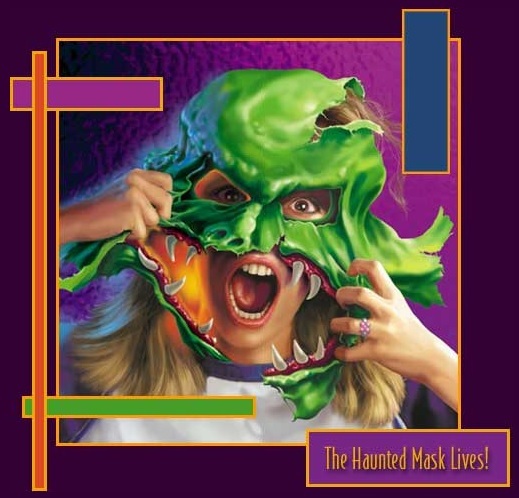 Jacobus is the artist responsible for painting all of the memorable Goosebumps covers, and since he often drew up the art before being given a chance to read the stories, he created covers for both The Haunted Mask Lives! 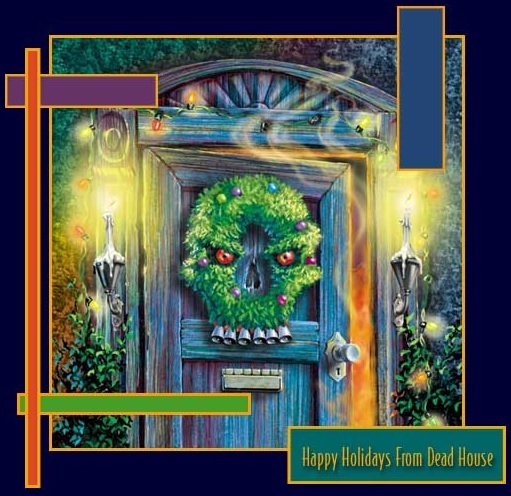 (above) and Happy Holidays from Dead House (below), despite the fact that they were never written or released. 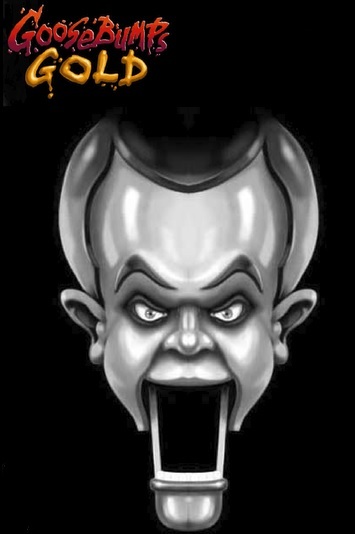 The other books planned in the Goosebumps Gold series were Slappy New Year, a new installment in the Night of the Living Dummy saga, and The Nightmare Room, a Welcome to Camp Nightmare sequel. Cover arts do not exist for those two books, and just like The Haunted Mask Lives! and Happy Holidays from Dead House, plots have never been revealed. It’s likely that Stine had rough outlines in his head for each of the stories, but he has to date never spoken about his plans for any of the books in the series. It’s interesting to note that a Goosebumps book called Slappy New Year! was released in 2010, as part of the HorrorLand spin-off series, but Stine has confirmed that though the titles are the same, that’s the only similarity between it and the unwritten Goosebumps Gold story. A few Haunted Mask sequels were also released in recent years, though again they have nothing to do with the planned book in the ill-fated series. Will these four nuggets of Goosebumps Gold someday be resurrected, and finally written by Stine? As always, only time will tell! ← A Harold Ramis Tribute : My Favorite Egon Moments.